People at derby support me and my kids. My daughter attended derby last night. Some of my old friends and new friends attended too. It loved seeing them. All of them. I hugged the other photographers. I taped my feet while the taping expert took my picture with my camera. Our DJ played amazing music. He played a Social Distortion cover of my favorite Clash song and so many other great songs that I am still dancing on the inside. (I wish he were a Pandora station.) My daughter and her friend collected money for Rocket Dog Rescue. I bought from vendors. At derby, we support each other and I am grateful that I have a platform where I can share my gratitude. At both events, I gave my camera to younger people to take a few pictures. If a few photos are misidentified as belonging to me, I will try to change the copyright information. I also edited this post after I published it. There were a couple mistakes and I wanted to improve the first couple sentences. I fixed the errors. I may not have improved the introduction. You may also see some photos belonging to “P Giddy.” I have a derby photography persona. I chose it, because I stopped smiling and derby makes me smile (at least on the inside.) I am trying to be a little more outwardly giddy. I will also update the galleries as photographs upload. There are two galleries for the derby season opener. 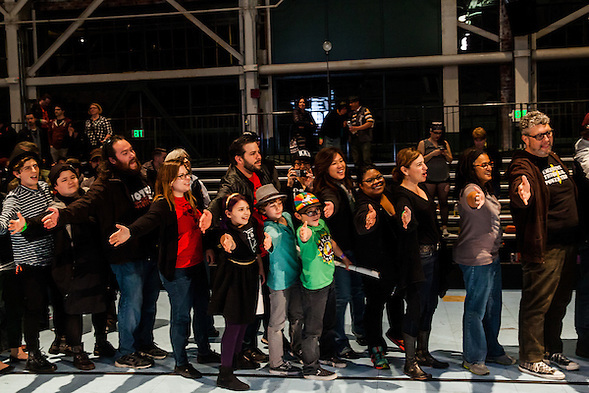 You can find the Berkeley Resistance vs. San Francisco bout photos by clicking the link. You can view the photos from the second bout between Oakland Outlaws and Richmond Wrecking Belles by clicking the second bout photos link. 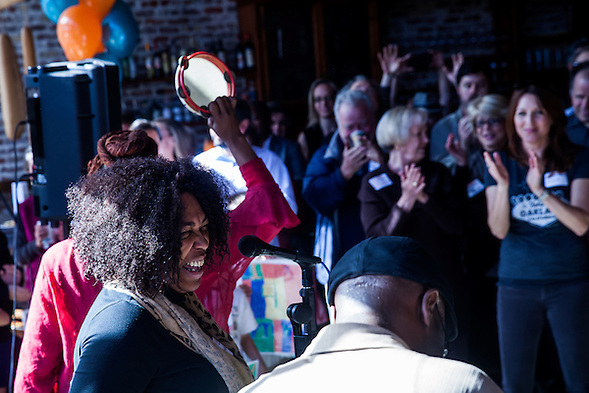 Here is the link again for the Libby Campaign Kickoff. 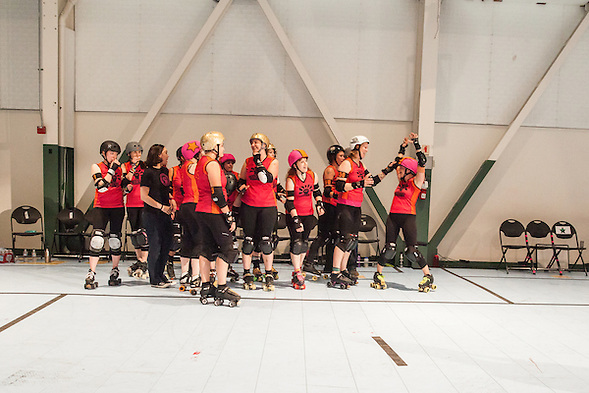 You might also want to view last year’s blog post when Oakland’s current mayor, Jean Quan, attended derby. This entry was posted on Sunday, March 2nd, 2014 at 9:56 pm. 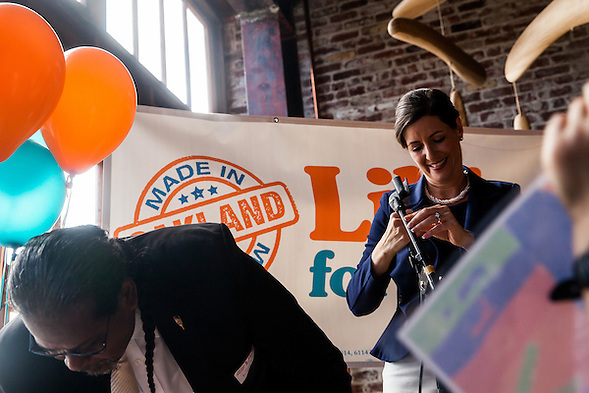 It is filed under Journalism and News, Roller Derby and tagged with Bay Area Derby Girls, Libby Schaaf, Oakland, Roller Derby. You can follow any responses to this entry through the RSS 2.0 feed.